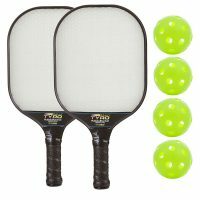 Each ball is a high visibility optic green color that is easy to see against both dark and light backdrops and is still distinguishable in busy environments for crisp, clear vision, better tracking and improved ball accuracy under indoor lighting. Having a ball that’s just the right color for visibility is a game changer, literally. 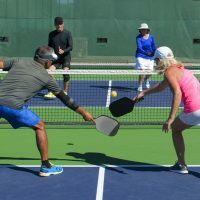 At Gamma Sports we believe that a win should be determined by skill, not imperfect equipment: that’s why our ball is expertly balanced for reliable and consistent performance. With a ball that responds to skill and is ready for play right out of the box, you can truly focus on your game, NO CONDITIONING REQUIRED. 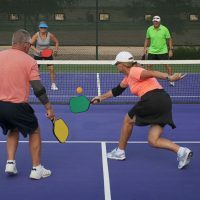 Each ball is rigorously constructed for consistency and durability with 26 precision-molded holes that allow the ball to fly at just the right pace for indoor play and a strong, 2-piece construction design that outlasts most Pickleballs. 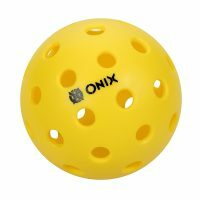 Engineered for a lively and consistent bounce on all indoor surfaces, this rigid photon ball is just the right hardness for upbeat play. 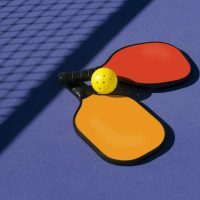 By maintaining just a bit of softness in the material, this ball strikes the sweet spot, allowing players to control their hits while enjoying excellent bounce. 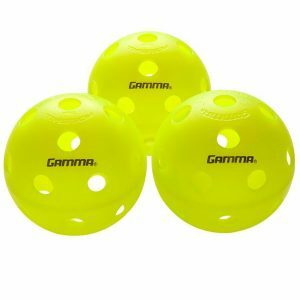 We used the Gamma Sports Photon Indoor Pickleballs exclusively for about a month. 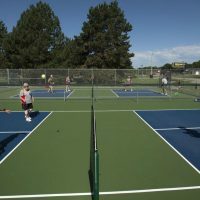 Our group plays on three courts two hours a day five days per week. We did not have one ball break during that time, and I received many compliments. 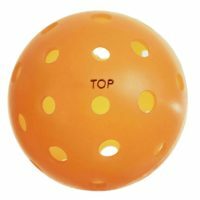 When I mixed in other brands, some of our lower level players preferred the Jugs ball because it was softer and seemed easier to hit. However, most of our players including all of the harder hitters liked the Photon ball. 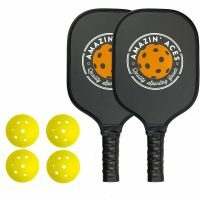 With the soft feel of the ball you can put some good spin on the it and you can’t go wrong with the speed it brings to the game. This ball is perfect for closing that gap from a traditional indoor ball to the outdoor ball making it my favorite ball to use every day. 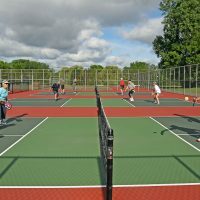 One of the harder things to overcome when playing indoors and outdoors is adjusting to the speed of both types of balls. The indoor Photon allows you to overcome that. It lasts a long time without loosing its bounce so the control you have with this last longer over time as well. Consistency is key when using any equipment in sports and this ball brings it. Right out of the box you can start using this ball and there is no need for additional conditioning as you have to do with other balls in the market. Its an approved USAPA sanctioned ball which makes it perfect for tournaments and clinics as well. We did a trial run with this ball at our club. I removed all the Jugs and replaced with Gamma’s Photon for the day. Some are hesitant to change so this way all were forced to the try the new ball. It was a winner! 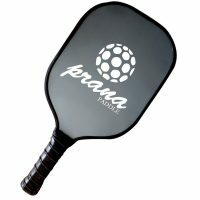 We are using the Photon in our upcoming tournament. All love the visibility which seems to be the only ball that shows up well against both our dark wall (bleachers) and our light wall. The feel is a great harder than the jugs but not that hard plastic feel of many outdoor balls. So far they are holding up well under heavy usage by heavy hitters. No breakage. Thank you Gamma!